JoJo has taught skating workshops (one day) and camps (3-5 days) for over 20 years. 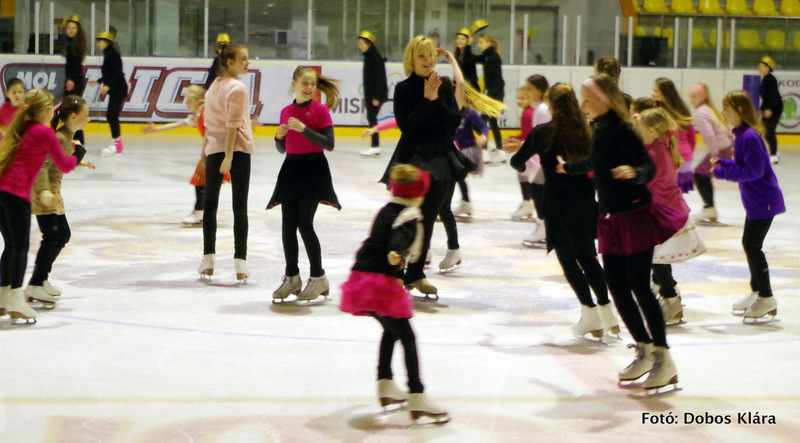 Skating camps cater to skaters of all ages, including adult recreational skaters and usually last from 3 to 5 days. Daily Floor Classes, teaching ballet fundamentals of posture, free leg and arm positions, off ice warm ups, plies, turns and jumps. Daily Great 8’s Classes, teaching the basics of edges, turns and figure 8’s, building tremendous strength and core control in a gentle way. This benefits all elements of free skating and ice dancing. Daily On Ice Cool Workout Classes drilling edge exercises, turns, combinations, spins and jumps, all based on skater’s levels. Average 3 to 4 hours of ice time per day. Social Activities include a dinner and meet and greet where JoJo and her guest coach share inspiring skating stories! Cool Workout T-shirt, Notebook (for lessons learned during the week), and “Cast Photo”. 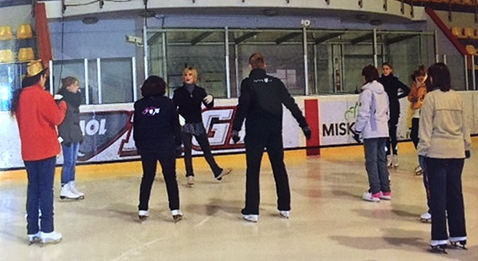 JoJo often brings an internationally ranked World and Olympic skater as a guest coach. 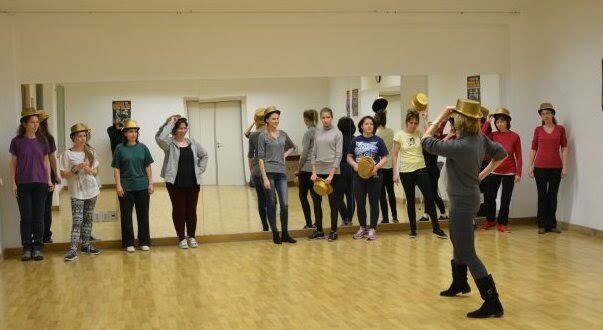 Skating workshops are custom tailored to the location, venue and skaters. 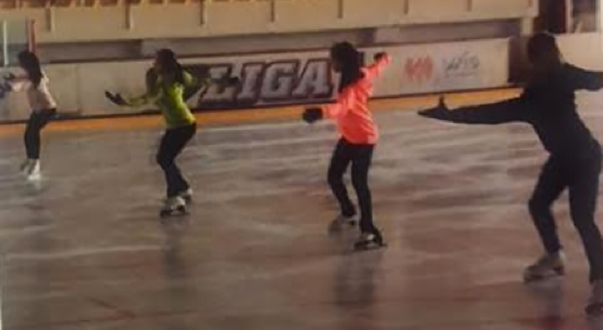 They can include floor classes, “Great 8’s” figure classes and “Cool Workout” edge classes, as well as a motivational talk to the skaters and their parents (when applicable).